Are cards in exile (suspend), considered permanents? Can you activate a creatures ability with no actual target? 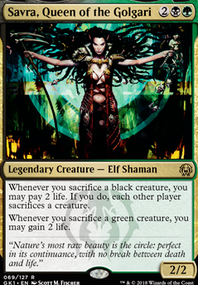 Can instant-speed sacrifice effects be used on creatures that enter the battlefield with 0 toughness? Does paying a card's cost to activate an ability resolve before the stack is triggered? 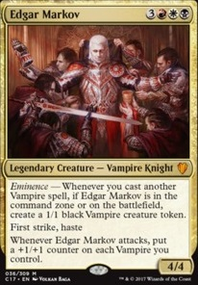 What does Cathar's Crusade trigger on first if I have Edgar Markov as my commander? Thanks for your +1 and the suggestion! 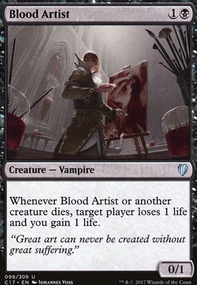 The only problem is that I do not know what to cut to add 1 Vampire Hexmage (only 1 because I have the 4 Green Sun's Zenith ). What would you recommend? 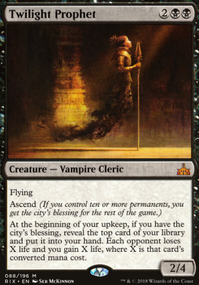 I wonder if something like Vampire Hexmage might be worth it - committing more to the dark depths strategy. You might want to think about taking out some of the lands and swap them for fetchable ones. 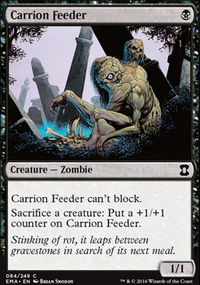 It will help thin out your deck really well once you start recurring fetches from your grave. 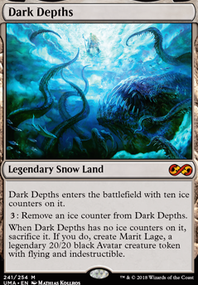 I would replace Vampire Hexmage for Thespian's Stage since it's a land that can instantly become Marit lage, as well as any other land you may need. Also think about Mirage Mirror . It can become any permanent except plansewalker. I would take out Vanishing , but I think you have it there to blink Muldrotha, the Gravetide to abuse her ability. 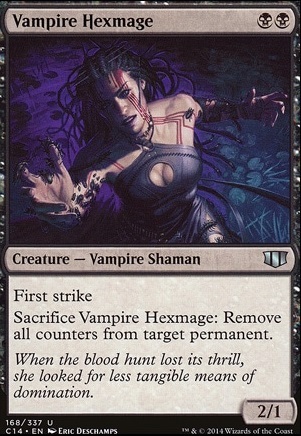 Think about this one, Vampire Hexmage , Rainbow Vale . and the last thing is recursion.